When it comes to planning family reunion activities, sometimes kids ages 3-8 get the short end of the stick (no pun intended). And if you haven't planned age specific activities you're in for a bit of a surprise. What surprise you say? Think about this. It's a known fact that most kids in the 3-7 age group have shorter attention spans than their older counterparts, teenagers. That said, those youngsters attention will only go as far as the activities take them. What to do? Believe Here's a secret to keeping even the youngest of the younger generation totally and completely engaged for 3 - 4 hours straight with no deviation to the program what-so-ever. I've been personally implementing this solution for over a decade and believe me it works brilliantly. Even better, teens and grownups love it. 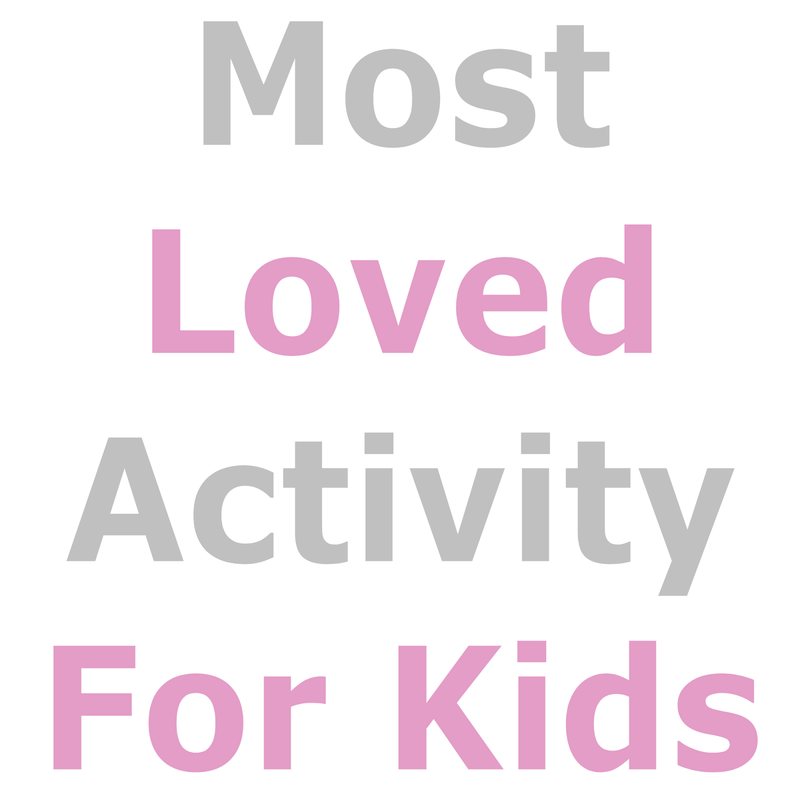 And that's a plus because when grownups are engaged in activities our little ones love they will play longer without disturbing those involved in other activities. Secret Solution Revealed So what's the big secret to keeping those munchkins happily at play during your next family reunion? Put on a soap bubble show. 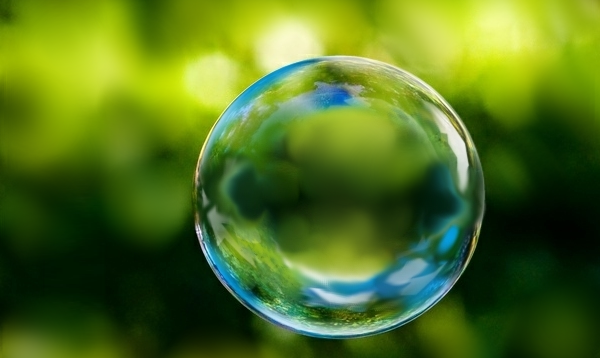 That's right, a low cost, inexpensive, easy peasy super duper soap bubble show. No, we're not talking about passing out little bottles of liquid soap with mini wands in them. We're talking about a full blown presentation table surrounded by a cheering audience enthralled at all sorts of bubble tricks leaving everyone entertained and begging for more. So how can you pull this off? The secret is in the presentation. Once you've mastered the performing art of bubble blowing you are ready to throw a bubble show. Caution:Bubble play is addictive and very fulfilling. Just checkout the number of soap bubble artists on YouTube. Once you get started you won't want you to stop. Don't say I didn't warn you. Happy family reunion planning. What! Don't have Fimark's Family Reunion Planner Social web app yet? It's the ideal event planning app for desktop PC's and tablets. Try it, we think you'll like it. Get quick access to the app from the links on this web blog page. August is the eighth month of the Gregorian calendar. Latin for "sixth month," indicating its position in the early Roman calendar. It means respected, distinguished, illustrious and impressive. For kids of around the world the last month of summer vacation typically ends in August or early September. The last weeks of August and early September are considered the last hurrah when it comes to summer vacation. When family reunions are scheduled at the end of the month just about everyone wants to make it something special. 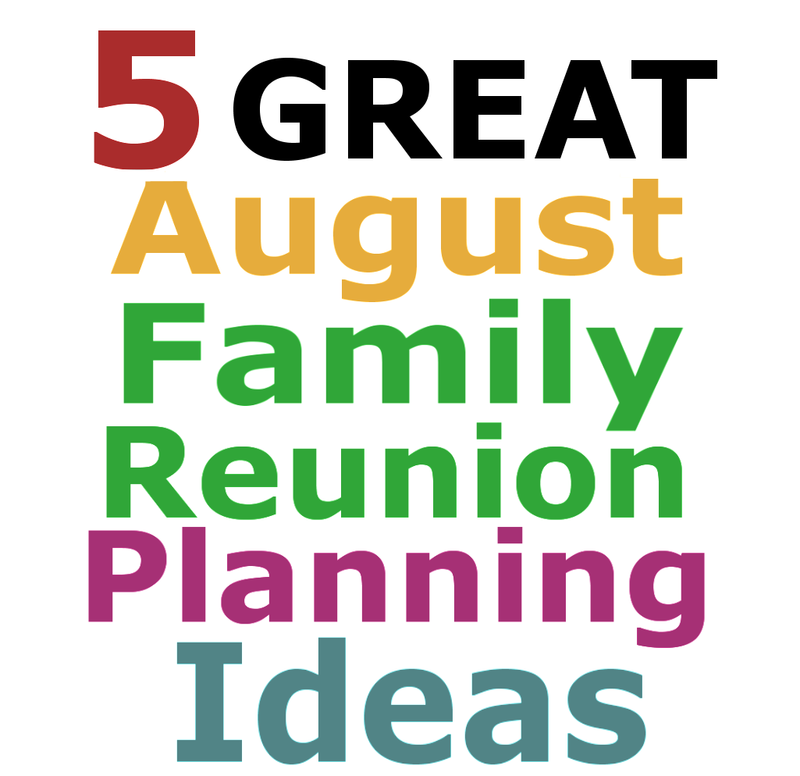 So here are five August family reunion planning tips you're bound to enjoy. 1. Find a Virtually Mosquito Free Area. Whether you're at home or on vacation, Find out when mosquito season is likely to be at its peak. The website Weather.com has a handy customized mosquito activity forecast, where you can type in a zip code and see a prediction of mosquito activity in that area. If mosquito activity is high consider using organic, natural repellents or planning some activities indoors. 2. Dress Appropriately Each Day. While August temperatures are typically in the 80's and 90's with lots of sunny days it's best to find out the daily highs and lows, humidity and barometric pressure well in advance as this will determine what activities are best when planning your reunion event. 3. Genealogy Recital. Family reunions are not complete without a recital of family history and genealogical chronology. It's best to keep it simple and light while adding a few impressive points of note as well as humorous, inspiring anecdotes. 4. Watch a Movie In The Park. If the evenings are cool and the park is open this would be a great time to snuggle up and watch a movie in the park or on the beach. Serve hot buttery popcorn, S'mores and chilled fruit salad cups with a variety of drinks. 5. Play Water Sports and Games. Cool down with a line of water sports activities everyone will enjoy. Start off with wet dodge ball, which is simply a sponge ball soaked in water. Play water balloon relay or enjoy a variety of activities by the beach or at a pool. For more in depth reunion activity planning ideas read my family reunion planning book featured on this page. For family reunion event planning from start to finish access the family reunion planner social web app. Everything you need to start planning a memorable family reunion.